NEBO CIGARETTES CORK TIP 5 CENTS TIN SIGN, P. LORILLARD CO., N.Y.C. 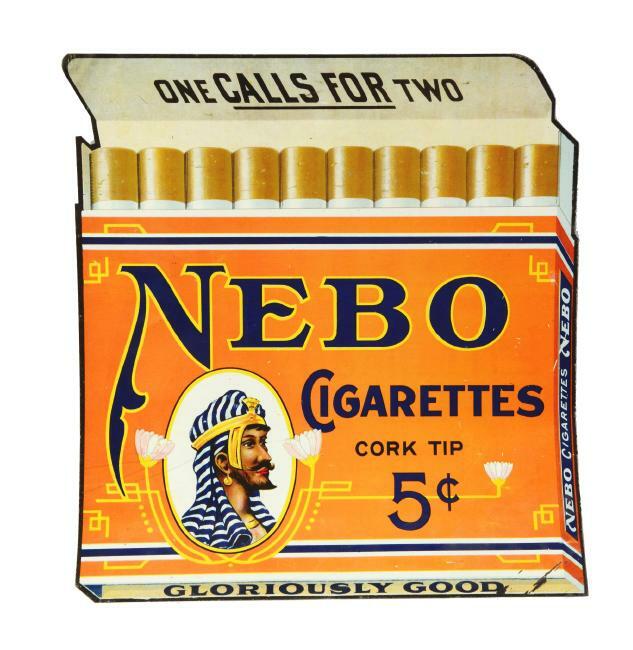 Featured is a colorful tin sign from the Nebo Brand of Cigarettes, owned by the P. Lorillard Company in New York City, N.Y. This sign features the tag lines “Gloriously Good” and “One Calls for Two”. Circa 1911, this sign features a Turkish man in the image.